March is a transitional month. Spring hasn’t quite yet arrived, as warm sunny days are peppered amongst the chilly mornings and windy afternoons. College spring breaks transition students from knowledge-seeking scholars to tuned out lazy bums. Lastly, March represents my transition from year to year, and this year I moved from 21 to 22 years of age (on March 4th, it’s not too late to get me something! ), which marks my first of many absolutely irrelevant birthday. What does this have to do with the March Mixtape? Not much, to be honest, I just wanted to sound profound. 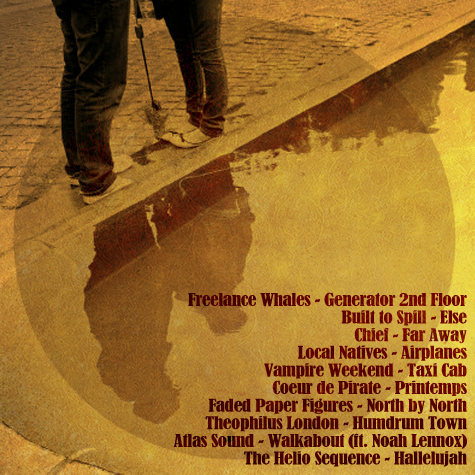 The mix is a blend of introverted, self-reflective folk and somber, nostalgic indie rock. 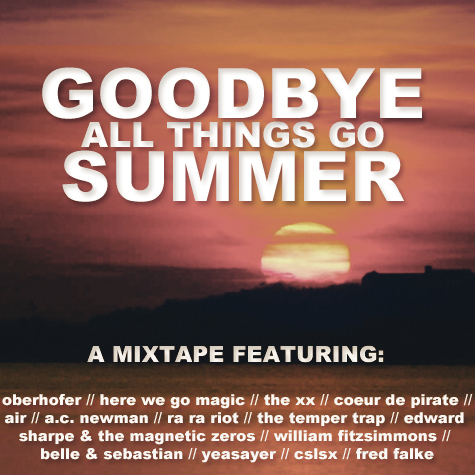 Established artists like Built to Spill, The Helio Sequence, and Atlas Sound anchor the mixtape while fresh-faced artists Freelance Whales, Coeur de Pirate, and Local Natives chip in beautifully crafted pop. Faded Paper Figures make their second appearance (see: November Mixtape), but their unique blend of Death Cab-esque self-pitying lyricism with Fujiya and & Miyagi’s too-cool-for-school rhythms and vocalization. Theo London gives us a little taste of his brand of new school hip hop, somewhat in the vein of KiD CuDi, though that comparison is slightly unfair. 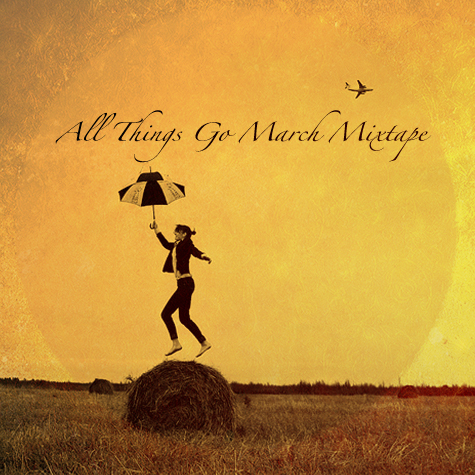 All in all, the March Mixtape captures the essence of the month: partly comforting and cozy, partly refreshing and hopeful. Enjoy. You have searched the All Things Go blog archives for ‘coeur’. If you are unable to find anything in these search results, you can try one of these links.